"I will do nothing else but sit in my favorite chair and let all my migrant muscles rest." From the icy wilds and tiny desks of Alaska... I don't know about you, but Christy NaMee Eriksen can't wait to be an old Asian American woman. The Juneau-based poet and activist gives us a gorgeous gift: her wonderful, unique last-minute submission to NPR's 2018 Tiny Desk Contest. 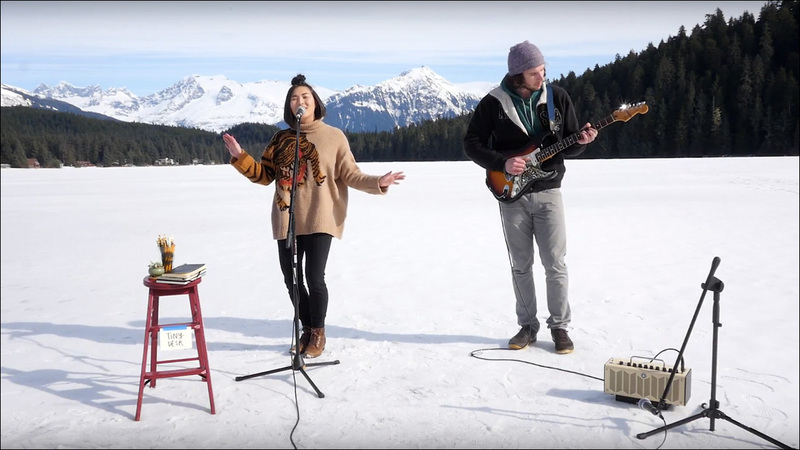 Recorded on frozen Auke Lake and accompanied on guitar by Avery Stewart, she lists off all the awesome things she's legitimately looking forward to being and doing when she is an old Asian American woman. It's a thank you to Asian America and a thank you to ajummas everywhere.